Brave 10: The Kingdom Rises marked the first time a promotional champion defended his belt as Elias Boudegzdame submitted challenger Jakub Kowalewicz in the main event, remaining with the Featherweight title. 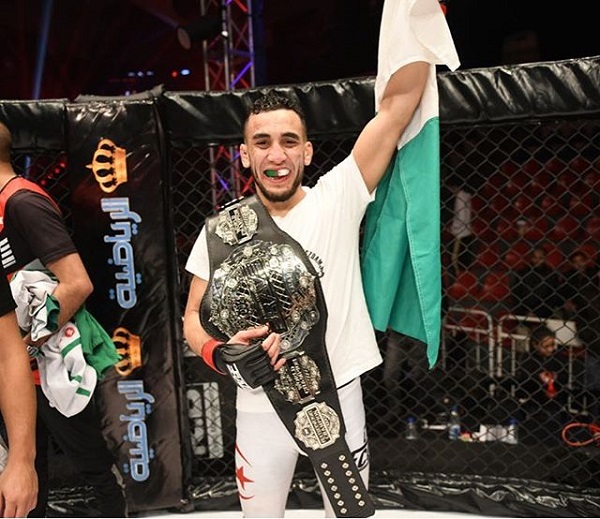 Brave’s debut in Jordan was a marquee event for local MMA as the four Jordanian stars featured in the show came out victorious. “I want to congratulate Jakub on giving me a tough fight and a tough challenge. 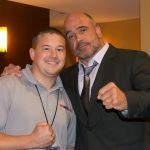 He’s a very strong fighter and I congratulate him. I was very happy to get another submission win as I was looking for the triangle choke the entire fight”, said Boudegzdame, who won the title last year with the same choke. In the co-main event, Jarrah Al-Silawi survived a tough David Bear to get the submission in the last seconds of the third round. The win marked the fourth in a row for The Jordanian Lion, set to challenge Welterweight champion, Carlston Harris, next. Elsewhere, there were wins for Abdul-Kareem Al-Selwady, who also remained undefeated for Brave with a unanimous decision victory over Charlie Leary; while Bantamweights Jalal Al Daaja and Nawras Abzakh won their respective bouts against Crisanto Pitpitunge and Abdul Hussein. In the rematch of the year, Tahar Hadbi surprised Mohammad Fakhreddine with an aggressive approach and got the TKO win in the second round, after dropping “The Latest” in the first. In the Bantamweight division, Frans Mlambo beat Felipe Efrain in the first round to claim a title shot against current divisional champion Stephen Loman, who was responsible for his last loss as a professional MMA fighter, in his Brave debut.